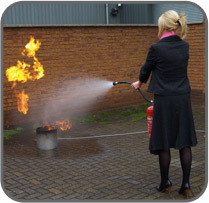 This 1 day fire risk assessment course has been designed for managers, supervisors and those who have a responsibility to conduct and carry out Fire Risk Assessments. Who should attend our Fire Risk Assessment training course? This course has been designed for personnel who do not have any previous fire service experience. This course will give personnel, who have no previous fire service experience, the necessary foundation knowledge to begin our 4 day intensive Fire Risk Assessment Course. Who should attend our Fire Risk Assessment Foundation training course? This course will be suitable for personnel who intend or who are required to carry out Fire Risk Assessments. Who should attend our Fire Risk Assessors training course? This course will be suitable for managers and or other personnel who are responsible for conducting or reviewing Fire Risk Assessments. If you are an employer, business owner or are in control of a premises The Regulatory Reform (Fire Safety) Order 2005 that came into force on the 1st october 2006 states that you 'must ensure that your employees are provided with adequate safety training'. "Perfectly paced, entertaining and enthusiastically delivered"